Has penguin affected your site? 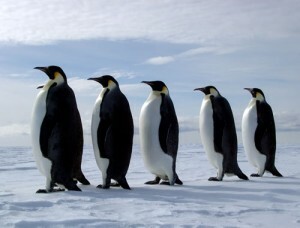 The hot topic on everyone’s lips at the moment in the search engine world is Google’s latest Penguin update. Not to be confused with the recent Panda update that was rolled out. Penguin focused on websites that had large numbers of links from suspect websites. What has site owners concerned is that now it seems possible that someone could actually perform SEO on a competitors website to negatively effect their website! Quite scary to think that someone could now use skills that previously were encouraged for positive rankings to sabotage the competition. It is quite easy to put a link on a website if you know where to look. Such as submitting it on a forum signature or a blog comment. But do you know how hard it is to have it removed? You first have to go through your webmaster tools and look through all the links to your site that could cause a problem. You then have to do individual “who is” searches to find out the owner of the domain. Then the email to request them to remove your link. This may then see your link removed … or ignored completely. So how would you know if you have been affected by penguin? Check your Google Analytics. Look for any massive drops in traffic around the 24th of April. If you find it dropped and continued to stay low after that date you have a problem on your hands.